When you plan a weekend getaway, it’s a time to unwind and forget the hustle and bustle of daily life for a little while. The thing about this, though, is that different people unwind in different ways. A great illustration of this is the spring and summer seasons. Some want to take advantage of family fun, while others want a slower, more relaxed excursion that allows them to stop and smell the flowers. When visiting Wilmington, DE and the Brandywine Valley, here are some fun activities and sights for anyone, no matter what your preferences are. Take in the sunlight and spring blossoms at these great outdoor attractions. Longwood Gardens: Stroll over 1,000 acres of manicured gardens, an 86-acre naturalistic meadow garden, and an over 4-acre conservatory; cap it all off with a not-to-miss performance of the Longwood Main Fountain Garden which recently completed a 92-million-dollar renovation. 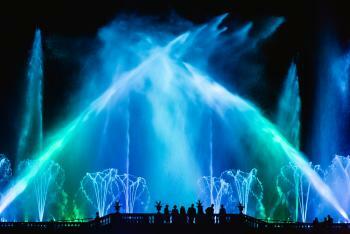 Shows run throughout the day, but the evening Illuminated Fountain Performances are not to miss – over 1700 fountain jets and streams perform to musical themes from the Beatles to Broadway in these 30-minute performances. Winterthur Museum, Garden, and Library: The Winterthur Museum is a major part of the famed du Pont family’s legacy in Wilmington. This is the former home of Henry Francis DuPont and home to the premier collection of American Decorative Arts. However, lovers of the outdoors will not want to miss Winterthur’s first outdoor exhibit: “Follies: Architectural Whimsy in the Garden” opening in April 2018. Follies are structures placed throughout a garden or landscape, designed to amuse or intrigue passerby. 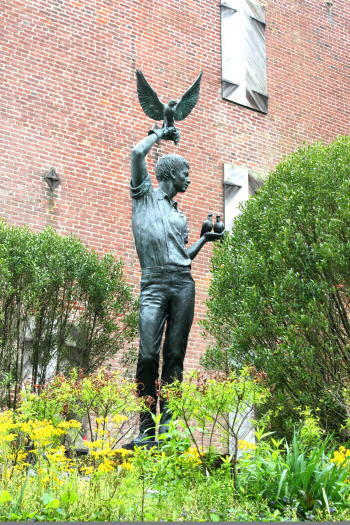 Henry Francis DuPont was familiar with follies from his travels across the U.S. and Europe and used them in his own gardens. 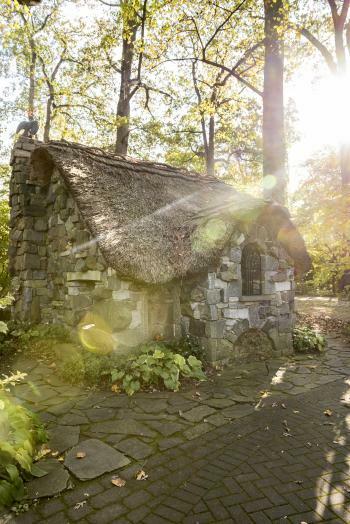 Take in the whimsy and wonder of follies for yourself in the 60-acre Winterthur Garden. The outdoor adventures don’t stop there, there are several other attractions in the Greater Wilmington, Delaware area with outdoor components, like the Mt. Cuba Center, Nemours Estate, Riverfront Wilmington and Rockwood Museum and Park. It’s a tough balance to find places that are entertaining for the children and parents alike, but Wilmington has some great places that hit the mark. 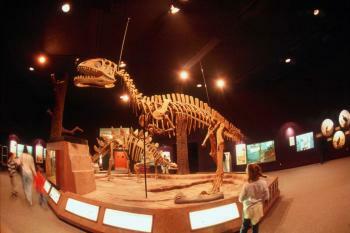 Delaware Museum of Natural History: This showcase of exhibits will immerse you in the wonders of the natural world. Marvel at the extensive Hall of Mammals or Hall of Birds, complete with the second-largest collection of bird’s eggs in North America. Witness a simulated Great Barrier Reef in the Shell Gallery, a collection of over two million shells, or go back even further, with the only permanent display of dinosaur fossils in all of Delaware. The kids can get in on the fun with hands on activities in the Nature Nook. Hagley Museum: The Hagley Museum was once home to the original DuPont company along the banks of the Brandywine River. Today, it’s a combination of fun and education. Tour the grounds of the original du Pont Home and Garden, check out a wide variety of exhibits, including permanent and rotating options. In addition, you can learn how gunpowder was made, and see the final product in action with live cannon demonstrations. This is only the tip of the iceberg for family fun in Wilmington. The Delaware History Museum, in downtown Wilmington and Read House and Garden, in the Colonial town of New Castle, Delaware are great places to bring the kids and offer fun with an educational twist. Families will also delight in the attractions on the Wilmington Riverfront, including the Delaware Children’s Museum, Wilmington Blue Rocks Minor League Baseball, an IMAX Theater and the DuPont Environmental Education Center. Beauty, variety, and history—these are the things that make a great arts scene, and Wilmington has plenty to offer. Here are some items you should add to your art itinerary. Delaware Art Museum: Some highlights of this beautiful museum include the most extensive collection of Pre-Raphaelite art outside of the United Kingdom, as well as an exhibit on the works of Howard Pyle. Once known as “the father of American magazine illustration as it is known to-day,” he drew inspiration from the great works of his era. There are also some great upcoming exhibits for the spring and summer, including works on impermanence and the Civil Rights Movement. 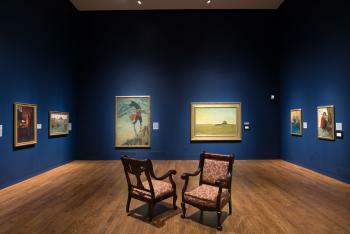 Brandywine River Museum of Art: The highlight of this museum is having a world-renowned collection of works from three generations of the Wyeth family: N. C. Wyeth, Andrew Wyeth, and Jamie Wyeth. There are also some great upcoming exhibits for this spring and summer, including Natural Wonders: The Sublime in Contemporary Art, and Southwestern Son: The Lithographs of Peter Hurd. If you’re still hungry for more artistic highlights of Wilmington, The Delaware Contemporary and Nemours Estate are great places to visit. Depending on the group you’re traveling with, you may want to mix and match attractions from these different sets, or even try them all. A good way to visit Wilmington’s diverse attractions is with the Brandywine Treasure Trail Passport. The Passport is a single ticket that provides access to 12 of Wilmington and the Brandywine Valley’s top attractions at an amazing discount. Individual Passports are available for just $45, while a Family Passport provides entry for two adults and up to three children 17 or under for only $95 – that’s as little as $3.75 per attraction. 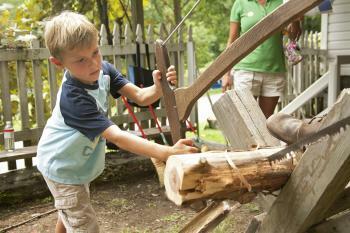 The Brandywine Treasure Trail Passport is valid Memorial Day through Labor Day. Start planning your escape to the history, culture and gardens of Wilmington and the Brandywine Valley by ordering your free Visitors Guide today.